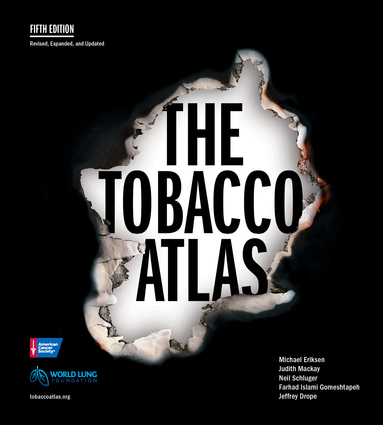 First published in 2002, this updated work uses maps, charts, and graphs to present data from the World Health Organization’s working groups that deal with tobacco. Statistics and information on tobacco’s harmful effects, the types of tobacco products used, tobacco production, tobacco use, the influence of the tobacco industry, and the success of health-education projects are all included. A glossary, a history of tobacco, and a bibliography round out the volume. Michael Eriksen is Regents' Professor and founding Dean of the School of Public Health at Georgia State University. He is also director of Georgia State University's Tobacco Center of Regulatory Science (TCORS) and the Center of Excellence in Health Disparities Research (CoEX). Dr. Judith Mackay is a medical doctor based in Hong Kong since 1967. She is senior adviser to World Lung Foundation as part of the Bloomberg Initiative, to the Bill and Melinda Gates Foundation, senior policy adviser to the World Health Organization, and director of the Asian Consultancy on Tobacco Control. Dr. Neil Schluger is Chief Scientific Officer of World Lung Foundation as well as Chief of the Division of Pulmonary, Allergy and Critical Care Medicine at the Columbia University Medical Center, and Professor of Medicine, Epidemiology and Environmental Health Science at the Columbia University College of Physicians and Surgeons and Columbia's Mailman School of Public Health.